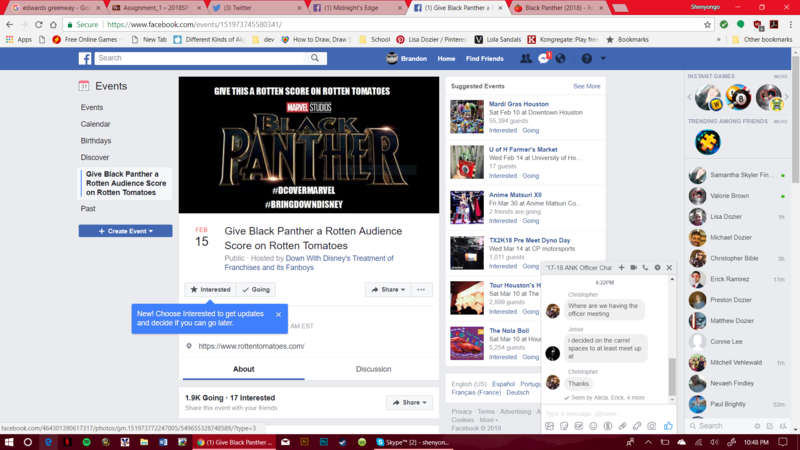 A Group of DCEU fans supposedly planning to sabotage Black Panther's RT score??? 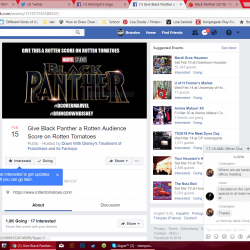 Home › Forums › Off Topic › A Group of DCEU fans supposedly planning to sabotage Black Panther's RT score??? This topic contains 2 replies, has 2 voices, and was last updated by MachinizerXS 1 year, 2 months ago. So this is apparently a thing that will be happening.. 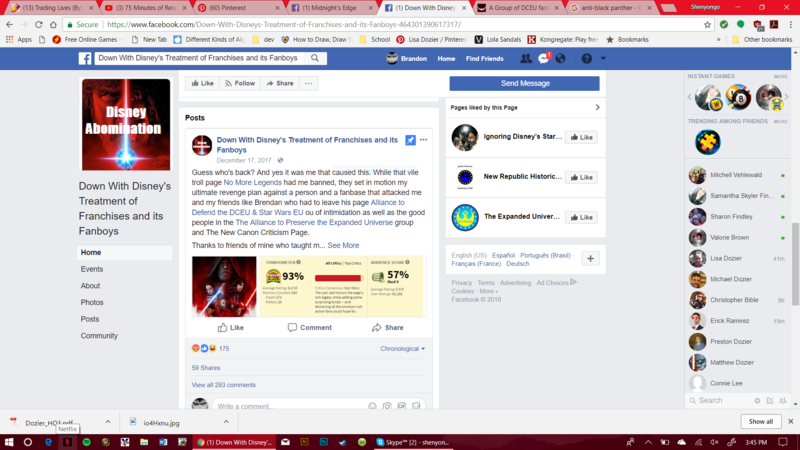 Under normal circumstance I would be questioning the validity here(I mean this article did try to link it with the Rotten Audience Score for The Last Jedi so…), however before this article had come up I had actually come across the Facebook page of this supposed event. Now I don’t think Black Panther is going to be anywhere near as “groundbreaking” as the hyperbolic early reactions claim it is, however if this does end up being true then I can’t help but find it kind of petty (and I would be saying the same thing if it was Marvel fans trying to sabotage a DC film for fans). Though I honestly don’t think this event will even be big enough to warrant a bunch of entertainment news articles at all. I looked further and this event was started by the same guy who was trying to take credit for The Last Jedi’s Rotten Audience Score (which I don’t think he really had anything to do with by the way – I think he was just coasting off the controversy around the movie). 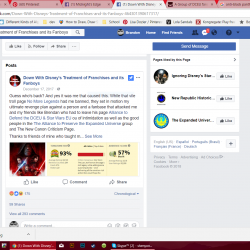 He basically makes a lot of posts about boycotting Disney’s Star Wars and has event set up an event to try to give the Solo movie a rotten score (though I don’t see why there needs to be such an event when the Han Solo movie is obviously going to be a disaster anyway). I’ve been hearing about that recently. At first I thought it was because of everyone saying The Last Jedi was sabotaged on rotten tomatoes, but I guess DCEU fans are really butthurt that they’ve decided drastic measures are needed. Then again I just thought people saying The Last Jedi was sabotaged was just SJWs being flabbergasted that people didn’t like it. I can’t believe someone is actually taking credit for it.